New! We now subscribe to the Paediatric Injectable Guidelines. 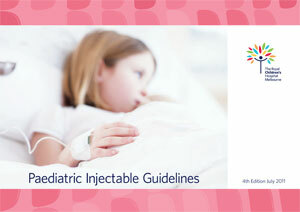 Developed by the Royal Children’s Hospital Pharmacy Department, it provides specific guidance for the preparation and administration of injectable medications in paediatrics. This resource provides paediatric specific information for improved safety and outcomes for young patients. Hypodermic syringes. [Photography]. Retrieved from Encyclopædia Britannica ImageQuest.